Test Prep, Tutoring, and College Prep - Schedule a Free Consult Today! Proven test preparation, academic tutoring and college placement. The Krupnick Approach delivers average gains of 6+ points on the ACT and 250+ points on the SAT. We also provide application assistance for high school, college and graduate school. We use proprietary test prep strategies based on research and empirical data analysis of actual tests. We believe the testing process is fun, and we turn it into a game. We get results because we focus on the individual needs of a student. We are flexible in our approach and if something is not working, we have no problem switching gears. The Krupnick Approach provides a unique style of academic and educational assistance to consistently deliver improvements in grades, test scores, and college placement for students from a range of academic backgrounds. 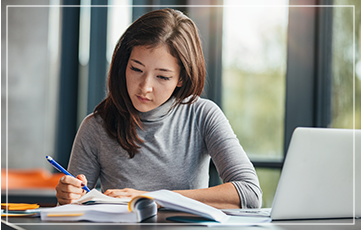 The Krupnick Approach offers students customized options for coursework support, application coaching, and standardized test prep. 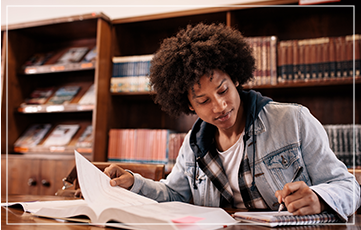 Specializing in ACT and SAT preparation, The Krupnick Approach helps students increase their composite ACT score by 6+ points in several short months of prep time. I have to admit, I was intimidated to begin working Joe. I am naturally a more shy, introverted girl. However, when I started working with Joe, I was surprised at how quickly I became comfortable in sharing my ideas and asking questions. He provided me continual motivation and support throughout my most difficult year in high school—junior year. He was organized and kept me on track, especially for my course essays. He is an incredible tutor. I highly recommend him! Most of my pre-college, educational life was overshadowed by the “opinions” of uninformed and lazy educational “professionals” and “administrators,” who neglected to identify my learning style, because it was more convenient to give a generic diagnosis rather than to understand my personality and natural intelligence. My parents hired tutor after tutor to try and mold me from an average/mediocre student into an exceptional one. All failed, except for Joe Krupnick. Joe’s approach focused on identifying my strengths and applying them to a systematic process aimed at equipping me with the perspective needed to tackle highly complex problems. This systematic process I learned gave me the confidence and the set of tools I needed to not only compete in the real world but to excel past my peers, taking me from an average C/D high school student to Dean’s list honor student in college. Throughout college I applied the Krupnick Approach’s process to tackling the challenges of my international business and economics major, becoming well known as an exceptional contributor, receiving praise and accolades for departmental and campus contributions. Today, post-college, I enjoy my challenging career as a top performing Account Executive at a Fortune 500 technology company, communicating the value of highly complex emerging technology solutions to customers throughout North America. I still rely on/apply the Krupnick Approach to train, mentor, and tackle the rigors of competing in corporate America. Joseph Krupnick is the man. He’s the best. I don’t know what I would have done without him. Whether you enlist him for academic assistance, test prep coaching, or application support, Joe will *always* have your back. He’s the best of both worlds–a Harvard graduate and a truly amazing, empathic human being. He helped raise the Math portion of my act score by 10 points! Joe is amazing to work with. Through thick and thin, he was supportive, patient and flexible. He guided me through my entire college application process-- from figuring out the best school for me, to preparing for the ACT exam and college essay. Without his motivation and deep level of knowledge, I don’t know how I would have done it. You’re the best! Joe Krupnick is the Michael Jordan of ACT tutoring. He raised my score by 12 points! This allowed me to be accepted to the school of my dreams and play basketball. I don’t know what I would have done without him. Joe is the best! His understanding of the ACT is truly incomparable. Most importantly, he is a genuine person that truly cares about his students. In addition to instantly connecting with Joe, I felt like I was able to work well with him because of his down-to-earth style. I am forever grateful for his commitment that shot my score up 7 points within two months. Thanks Joe! Without Joe, I would never have been able to feel as confident as I do now about standardized testing! Due to his unique tutoring style, I was able to bring my science score up to a 36. I would really recommend his services to anyone feeling unsure about their test-taking abilities! With my busy schedule and keeping up with family commitments, Joe helped me navigate through some of my most challenging classes, especially my final exams. He helped me transform my GPA and also my self-confidence with my academics. If there was a Nobel Prize for academic tutoring, Joe should win. Working with Joe allowed me to master the skills necessary to take on the science component of the ACT. Joe's nonpareil upbeat attitude and easygoing personality assuaged my nerves surrounding the test and inspired me to work hard on the science section. With his help, I improved my science subscore by 9 points. Although it has been about 8 years since I was tutored by Joe, I still highly rely on the skills that he taught me. He helped elevate both my grades and ACT scores tremendously. His enthusiasm for teaching and working with me was profound – he was genuinely interested in my success and furthermore, helped promote my own enjoyment of the material. I still remember some of papers he helped me think through nearly 10 years ago. He is an incredibly dedicated tutor, and I am absolutely thrilled to see that he is still at it! I sincerely recommend his skills. If you or anyone you know are currently struggling with ACT/SAT preparation and are looking for tutoring/assistance, Joe Krupnick and The Krupnick Approach is the only way to go. After working with Joe as a tutor for many years in high school we began working on ACT preparation and over a short period of time Joe helped me drastically improve my practice exam scores, leading me to hit my goal of a 30 on my very first attempt!!! Joe’s passion for helping students is unmatched and his unique approach to the student-tutor relationship creates a calming, fun and focused environment. Go the way of The Krupnick Approach!! Joe served as a teaching fellow for a sociology course on the urban ecology of Boston while I was an undergraduate at Harvard College, in 2009. Through some stroke of luck I ended up in his section. We’ve maintained good contact since. A few things stand out about Joe. The first is that he is deeply passionate about any subject he turns his mind to. From our initial interaction, I was left with the distinct impression that he was one of the sharpest individuals I’ve ever met. The impression was only strengthened over the course of his sections. In fact, it would not be a stretch to say that he did a better job imparting knowledge upon me that any professor I’ve had before, or since. This isn’t merely empty praise; the evaluation scores he received from my peers after the conclusion of the course reflect that entirely. The second is his dedication to his craft. He was consistently amongst the best-prepared TFs in the College. Our sections were supremely engaging, incredibly stimulating, and fostered some of the most profound discussions I’ve ever been a part of. In general terms, you’d be hard pressed to find a more talented, integral, and impressive individual than Joe. He cared deeply about his students, as evidenced by the glowing praise he received afterward. In retrospect, I remember my peers commenting on Joe’s astounding ability to take potentially dry course material and transform it into something rich and engaging. The sections he led were frequently home to the most intellectually stimulating debates I’ve come across in my entire time at the College. The Krupnick Approach allows you to excel when & where you need it the most. If you’re looking to improve your personal or academic situation, then don’t waste your time or money on a second rate service — just do it right from the start. His approach is unparalleled. Take advantage of this opportunity to learn from a man who mastered both sides of academia: the student and the teacher. Joe is a BIG presence in the classroom. He captures your attention, and inspires you to work hard and learn. Never lacking substance, Joe brings energy and excitement to all subjects. He is a true leader in the classroom, which makes him a special teacher. Upon meeting Joe you will immediately recognize two things: 1) he’s very smart 2) he has your back and wants you to succeed. I am writing on behalf of a wonderful tutor, Dr. Joe Krupnick. Joe Krupnick has a deep and personal understanding of the unique ways in which students learn. He has a special talent for building relationships with students therefore works wonders with their success and confidence. He is an outstanding teacher and tutor. So, there have been very few times in my life that I don’t have the words to strongly enough recommend someone or something. But, such is the case with Joe Krupnick and his company The Krupnick Approach. Joe is, by miles, the best test preparation expert and finest tutor I've ever been around. With five children, four of whom have completed or currently attend high school and three of whom have taken college placement exams…I have more data than most…over many years! We've sampled all types, all places and all people, but the numbers speak for themselves…and it ain't close my friends. Joe has a system and approach that result in jaw-dropping improvement. Better yet, he loves his work. And the best news is that I've known Joe for over 20 years and vouch for his character and honesty. He's an all star professional and an all star human being. Joe earned both his undergraduate and Ph.D degrees from Harvard University and in addition to his research and writing, he LOVES tutoring students—and helping them conquer college placement exams. His academic pedigree is clearly unique. And, his patience, motivational and encouraging ways resulted in our children actually looking forward to working with Joe. I'm attaching a link to Joe’s LinkedIn page here. If your child has any anxiety about the ACT or is looking to dramatically improve his/her score, this might be the best contact you could make. Additionally, tutoring in difficult high school subjects isn't difficult for Joe! If you are one of our friends that have used Joe, feel free to chime in as well. He's just the best. I have known Joseph Krupnick for over twenty years, and am well-acquainted with his abilities as a teacher and tutor of adolescents and young adults. As a psychologist who works with young people who have learning issues, Joe is the man I turn to for tutoring when students have difficulty completing challenging academic programs and/or lack motivation to succeed, whether it is with specific projects, or with taking charge of their own lives and moving forward….When Joe began working in this field, he worked closely with a very experienced educational therapist who mentored him and coached him in this new profession. I was impressed with his recognition that to become skilled he needed to be trained. Over the years he has developed a thriving tutoring practice that encompasses several different modalities of teaching: he thoroughly immerses himself in the concepts and underlying ideas of the subject matter that his student must learn so that he can help the student play with ideas and learn the material from different vantage points; he adapts his teaching style to the needs of the student he is working with, so there is constant interplay between the academic issues that the student needs to master and the strategies that must be developed so that the student ultimately can deal with the challenges of the material on his/her own; he continually assesses the student’s emotional needs so that he can adapt the academic demands to the student’s ability to understand and deal with the academic pressures without feeling flooded or overwhelmed. Joe is a unique and gifted teacher, as well as an intellectually gifted individual. He is motivated to challenge himself and his students with his original insights and important new ideas.